A recent survey carried out by The Duke of Edinburgh’s Award (DofE) revealed that many of our close network are unaware that the DofE is a UK-wide charity. With our Diamond Anniversary just around the corner, we want to shout louder about the work the DofE does in supporting young people into their futures and in doing so also promote the wide ranging benefits a DofE Award can bring, which many may not already be aware of. A number of our participants, Leaders, Managers and parents surveyed believed strangers to the Charity aren’t aware that DofE programmes are open to all young people, regardless of their background or circumstance. 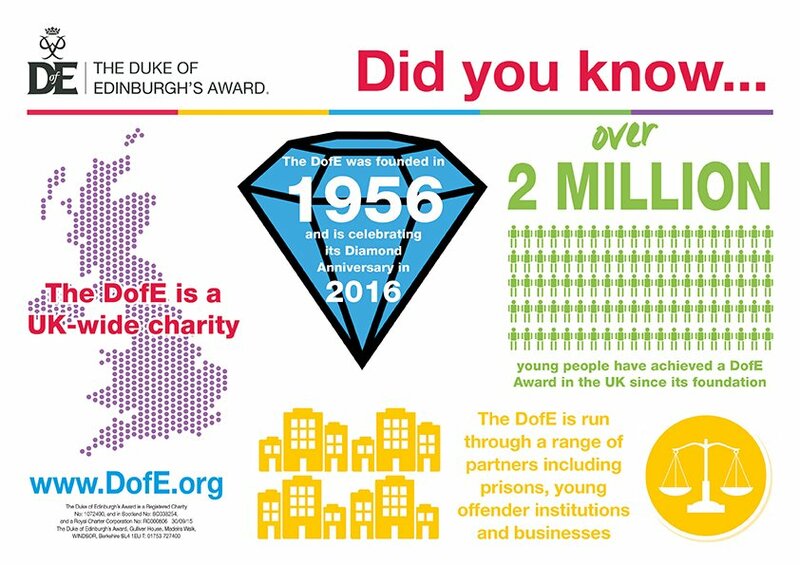 In fact the DofE works with young people in every community in the UK through schools, youth centres, young mums groups, businesses, young offender institutions and prisons plus many more. Achieving a DofE Award opens doors for young people to develop new interests, skills and friendships, allowing them to secure an accreditation that raises their aspiration and builds confidence. Read more here about how taking part in the DofE has helped young mum Emily to improve her prospects. A DofE programme is personal to the individual young person taking part. They will choose their own activities for each section, plan what they want to achieve in their aims and evaluate their performance post-activity. Over 90% of our network believed that young people’s impression of DofE programmes is that they are fun. Each young person embarks of a different DofE journey depending on their ambition, ability, determination and commitment; all attributes which are sought by employers in potential candidates. This latest survey comes ahead of the Charity’s Diamond Anniversary next year when the DofE will be celebrating its 60 year legacy, its Award holders and its volunteers who support young people to achieve their DofE Awards.